A limited edition iridescent gold highlighter. 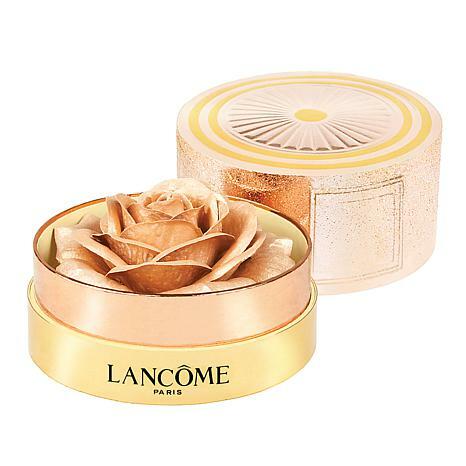 The powder is infused in and evenly dispersed among rose petals inside the Bijou box. Gently swirl a brush in a circular motion around the rose petals to pick up the perfect amount of formula. 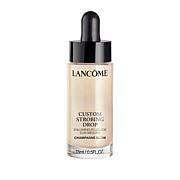 Use the brush to apply to the top of cheekbones, center of chin, bridge of the nose, and center of the forehead. For added highlight, use your fingers to add the powder under the brow and inner corner of the eyes. I was so delighted when I opened the package yesterday. It is such a work of art! This is a great product, but more importantly, is how it makes you feel. I remember going to my grandaunt's house as a child and being invited into her boudoir, all silver trays and beautiful jars. She would allow me to spray on her perfume, and would brush my hair until it shone, and she would put powder on my face with a large puff. I was suddenly transformed into a princess. This is why I love this product. It changes you from an ordinary person to queen of the universe. Glorious! My facial skin color is not light, but more of a slightly dark fair. Add to this a slight tan. I dabbed a tiny amount across the outer-top of my cheeks and used a fine brush to lightly add to the hues of brown eye shadow. I am not a fan of heavy makeup. I love the look! 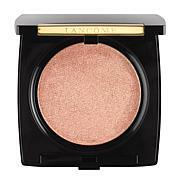 The gold areas brought a freshness to my face, a touch of youthfulness too! Im 57. This product is amazing and so beautiful. The shimmer is subtle. The application is easy and fun to use. This the best highlighter by far. Worth every penny.